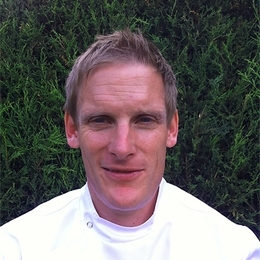 James is a qualified and registered Osteopath. He treats people of any age, from the elderly to children and from pregnant women to sports people. 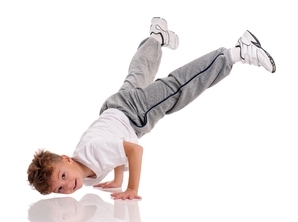 His patients vary from those with minor aches and pains, through to those with arthritis and multiple health conditions. James has a young family and previously ran large manufacturing sites; he understands the influence of normal life on people's mind and body. James has experienced serious injury and competed at national level triathlon, ultra-distance running, endurance cycling and international Ironman triathlon, he understands the human body at peak performance and in dysfunction. I like to create a friendly environment where you can feel you are being listened to, taken seriously and treated with respect. I will only use techniques that I have fully explained and that you have consented to. I try to return you to health by treating the underlying cause and not just the symptoms. I will fully explain your condition and work with you to put together a treatment plan that suits you. I can refer you onto a GP or other healthcare specialist if necessary. I will give you advice and support to enable you to return to work and/or what you like to do, as quickly as possible and prevent reoccurrence. I choose to treat during and outside normal working hours because patients find it difficult to find time to get treatment and look after themselves. James studied for five years for a Bachelors Osteopathic degree at Keele and Staffordshire university. 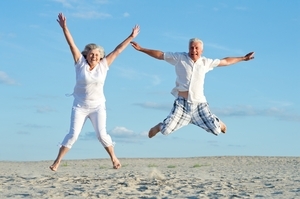 Osteopaths have a very detailed understanding of the anatomy and physiology of the human body. They are trained extensively in pathophysiology so that they are able to safely identify systemic disease masquerading as a musculoskeletal problem. Osteopaths can refer patients to GP's and other healthcare professionals where necessary. James has over 5,000 patient hours working with patients some of which have complex medical histories including people with multiple diseases. 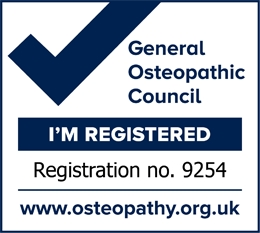 Osteopathy is regulated by the General Osteopathic Council and by law osteopaths must be registered with them in order to practise. The General Osteopathic Council works with the public and osteopath profession, setting, maintaining and developing standards of osteopathic practice and conduct (www.osteopathy.org.uk).